This individual amino acid supplement provides pure N-Acetyl L-Cysteine in capsule form. N-Acetyl is a stable form of the amino acid L-Cysteine and is a precursor to glutathione. L-Cysteine is an amino acid that is only included to a small degree in proteins (2%). Environmental factors can raise the need for L-Cysteine as part of your diet. N-Acetyl is a stable form of the amino acid L-Cysteine and is a precursor to glutathione. 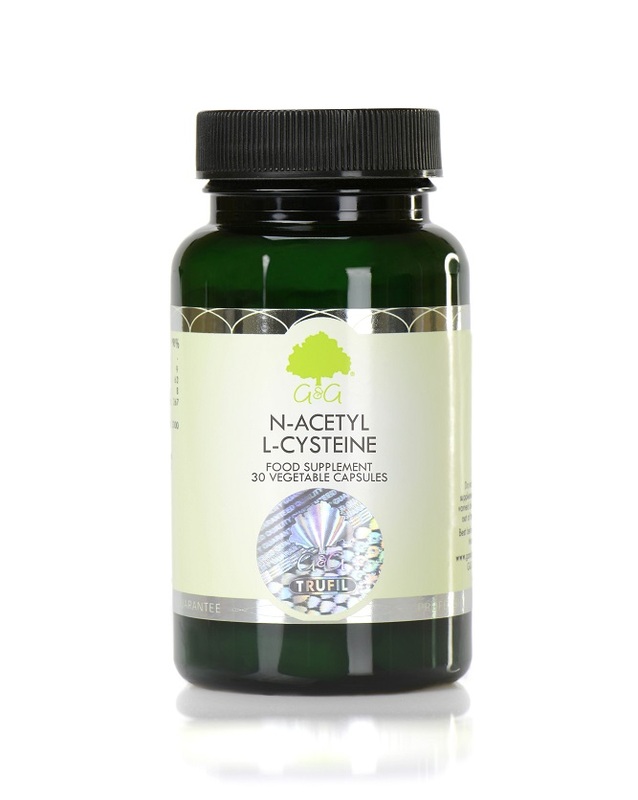 Our L-Cysteine supplement comes in the form of a vegetable cellulose capsule. This enables us to offer a supplement that does not require any unnecessary chemicals, excipients, binders or unnatural fillers. A vegetable cellulose capsule is designed specifically to break down naturally within the acid of your stomach, ensuring that the nutrients are absorbed during digestion. Our L-Cysteine supplement is suitable for vegetarians and vegans. It is also approved kosher and does not contain any allergens. Take 1 daily with a main meal or as directed by a healthcare professional.